After a very long two-week layoff the Philadelphia Eagles will finally face the New England Patriots in Super Bowl 52 at 6:30 pm EST. This match-up pits two high-powered offenses against two top-five defenses. The Eagles are looking to stop the Patriots from getting their sixth title. The Eagles will be relying very heavily on their balanced offense and strong defense to stop Brady and the Patriots offense and end their dynastic reign over the NFL. This is the first time in thirteen years that these two teams will face off, with a title on the line. In 2005 the Patriots got the better of the Eagles by a score of 24-21. 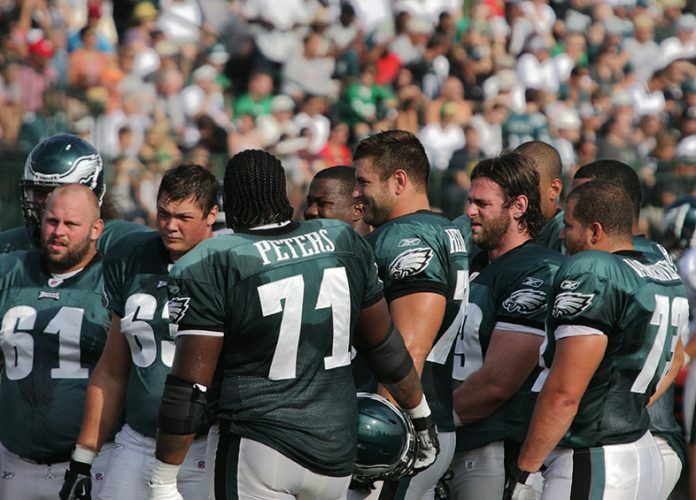 This is a far different Eagles team than the one Tom Brady and Bill Bellichik faced in 2005. The Eagles lost quarterback Carson Wentz due to a torn ACL, running back Darren Sproles also to a torn ACL, pro-bowl left tackle Jason Peters also tore his ACL, Linebacker Jordan Hicks ruptured his Achilles, and Chris Maragos also was lost for the season due to a torn ACL. None of those losses matter now as the Eagles are four quarters away from their first Super Bowl title in franchise history. The Patriots in comparison to the Eagles had a smoother ride getting to Super Bowl 52. The Patriots did not lose a lot of key players to injuries like the Eagles did. The Patriots did have a tough AFC Championship match-up against the Jacksonville Jaguars. Brady had to throw a game-winning touchdown to Danny Amendola to seal the deal for the Patriots. The Patriots have one of the most high-powered offenses in the league, led by Tom Brady. They were expected to get to the Super Bowl. The Patriots will be hoping to exploit a mismatch between tight end Rob Gronkowski and the depleted linebacking core of the Eagles. Gronkowski is the biggest offensive weapon the Patriots have, and the Eagles defense must slow him down if they want to dethrone the Patriots. This game for both teams will come down to the trenches, the Eagles have one of the best offensive and defensive lines in the league. The Patriots have a weaker offensive and defensive line in comparison to the Eagles. Whichever one of these teams dominates in the trenches will leave Super Bowl 52 with the Lombardi Trophy. The Philadelphia Eagles will look to silence all their doubters by beating the heavily favored Patriots and stopping them from getting their sixth title. Strap in folks this will be a great match-up between the hungry dogs and the empire.